CorrectEnglish® teaches you not only to write like a professional but to think like a writer. Good writing will come naturally the more you use the tool. Show off your excellent writing skills with on-the-fly grammar, punctuation, contextual and spelling corrections. Save time and money with easily accessible resources. 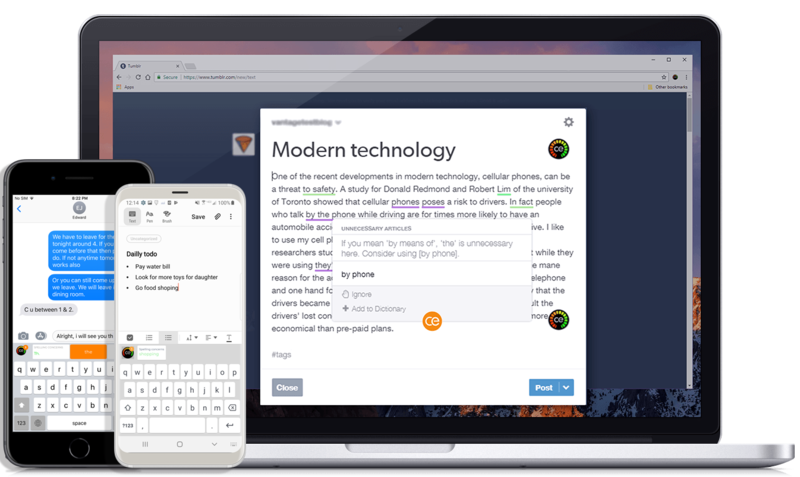 Only CorrectEnglish® uses artificial intelligence to provide you with unparalleled insights on your writing's focus, organization, content, language use, and overall quality. 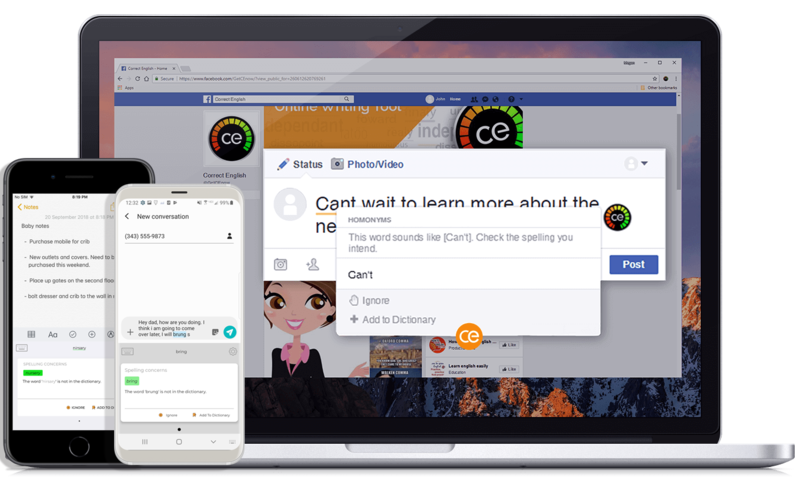 CorrectEnglish® is a browser tool and iOS/Apple app that helps to eliminate writing mistakes by checking for contextual and spelling errors, word substitutions, and 63,000 advanced grammar rules. 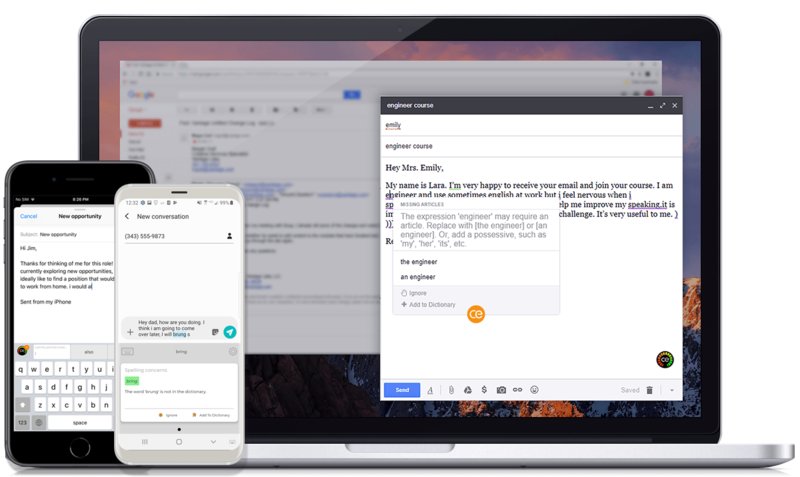 It works nearly everywhere on the web (on PC's or Chromebooks) and on your Apple or Android device for writing resumes, emails, social media posts, and more. Writing’s a skill you’ll carry with you through school, your career, and many other aspects of life. More than proofreading, CorrectEnglish® teaches you to avoid mistakes in the future with helpful explanations. Learn by doing, and continuously improve your writing. Look polished and professional with writing that's free of spelling errors! Say exactly what you mean and communicate clearly in writing. Improve your proficiency in tricky English writing rules. Give everything you write, from job applications to emails, that extra edge. Meet Bob. Bob is a project manager who needs his writing to have a professional quality. 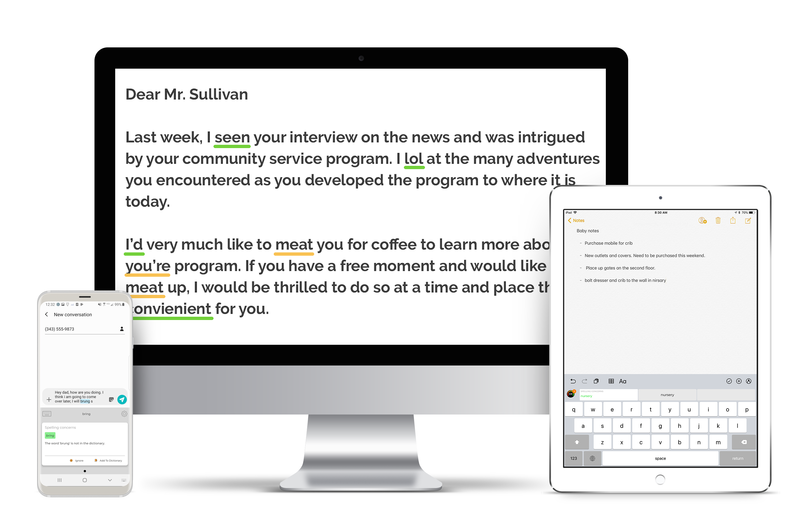 Using the CorrectEnglish® proofreading tool makes Bob's job much easier because he gets on-the-fly writing feedback while he works. 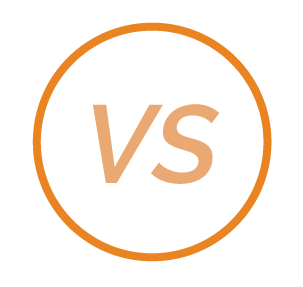 Bob can quickly write emails, project plans, and even social posts that are powerful, persuasive and mistake-free.